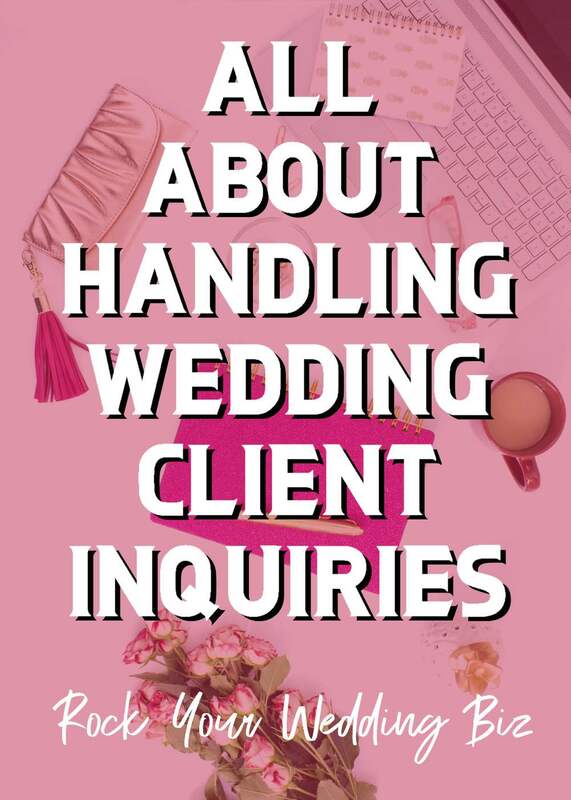 Wedding Pros: It’s that time of year again! Get ready, because it’s officially Inquiry Season! What? That’s not what you call it? 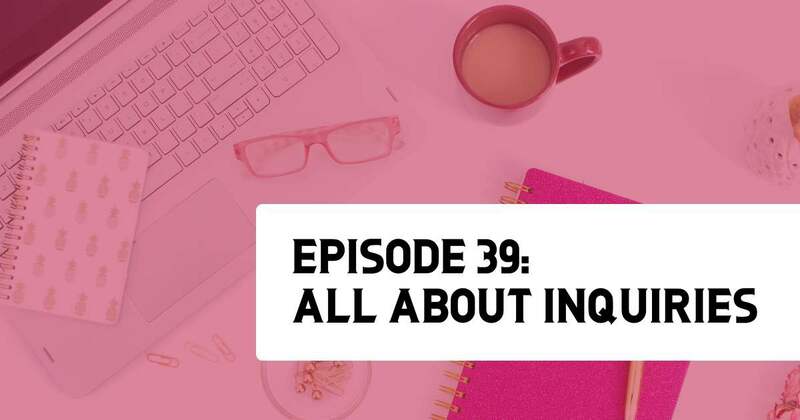 Listen in as we deep dive into all things Inquiry: response times, canned emails, messaging, knowing your calendar, emails vs. phone calls, and even the psychology of the sales process. Whew! There’s a lot to cover, and we dig through it all! Let’s go, Rockstars! Use email templates to make the process easier. Always know your availability! You should be able to check your calendar from anywhere. Response time is CRITICAL. ASAP, and no more than 24 hours. Always respond to the client in the manner in which they contacted you. If they email you, email them back! If they call you, call them back! Give clear concise direction – one Call to Action- just pick one thing your potential clients have to do to communicate further with you. The inquiry process and methods of communication need to be controlled by the business owner, not the client. Use your contact form to give a sense of your pricing. Use a drop-down of budget ranges on your contact form. Alt Summit (Alt Oasis), Palm Springs – March 24-29, 2019 Use code: ROCK for $50 off your ticket!